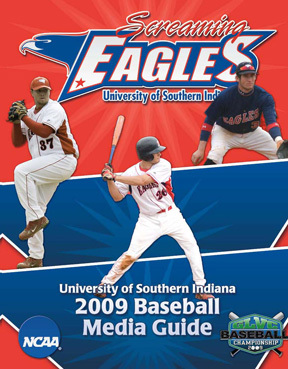 2008: Named third team All-GLVC...batted a career-best .298 in 46 games, making 40 starts in the outfield and as a designated hitter...ranked third on the team with 32 RBIs and tied for the team lead with five home runs...had a season-best three hits four times and tied a career-high four RBIs against Missouri University of Science & Technology...had a season-best six-game hitting streak...had 10 multi-hit games and a team-best 12 multi-RBI games. 2007: Named to the All-Tournament team in the NCAA Division II North Central Regional...played in 55 games as a sophomore, mainly as a designated hitter...batted .272 with a career-high 31 runs scored and 34 RBIs...led the team with a career-high four home runs...tied a career-best seven-game hitting streak...had 11 two-hit games in 2007...also tied a career-best with four RBIs against Henderson State University. 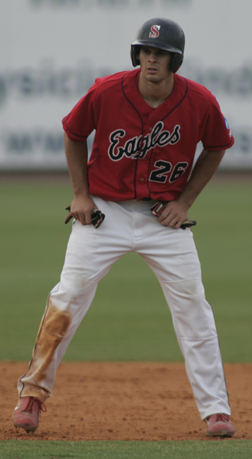 2006: Started 49 games as a freshman...ranked second on the team with a .291 batting average...ranked first on the team with 27 RBIs and tied for first with 23 runs scored... was named GLVC Player of the Week for his efforts against Kentucky Wesleyan College and the University of Wisconsin-Parkside...his first collegiate home run was a game-winning grand slam against Oakland City University...drove in a career-high four RBIs against Oakland City and Wisconsin-Parkside...had a career-high four hits in the win over the University of Missouri-St. Louis...had a season-high seven-game hitting streak...led the team with seven multiple RBI games and was second on the team with 15 multiple hit games. HIGH SCHOOL: Earned 12 letters in baseball, basketball, and soccer at New Harmony High School...had a .445 career-batting average at NHHS...also had 96 RBIs and 21 home runs during his four years at NHHS...batted .551 as a junior in 2004...posted 28 shutouts as a goalkeeper in soccer and had 1,200 career points on the hardwood. PERSONAL: Born March 23, 1987...son of Philip and Janet Werry.